Thinking and Meaning – The thinking man's guide to creating connections. When you receive a call from the police, the first instinct is that something is wrong. You’ve done something wrong, someone needs bail money, or there has been an accident. Secondly, there may be a solicitation from a police charity such as a fundraiser. Someone may request support for the local Sheriff’s department or Fraternal Order of Police (FOP). While all those things are legitimate, some are not typical. For example, if you have broken the law, the police are not going to call you. 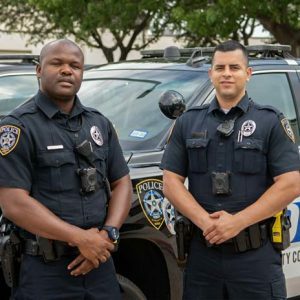 They will come to your house and arrest you. If bail money is needed, the person needing the money would call, not the police. Fundraising efforts do take place, but you should insist on supporting local organizations only, ones that can be verified. Police issue arrest warrants if someone has broken the law. Law enforcement refers to is as a “bench warrant.” It is a document stating that you must go to jail immediately. Police never call criminals to let them know they will be arrested. Victims of arrest warrant scams are told that they must pay a certain dollar amount or be sent to jail. The scammer requires you to send money via Western Union or another wire service. Don’t do it! Call your local police station immediately. Seniors are common targets of this scam, often referred to as the Grandparent Scam. The caller contacts a senior to say that a relative is in jail, usually in a foreign country. They require the victim to pay a large sum immediately or the relative will be held without bail. The caller never offers proof of the arrest. They may say that a bondsman will call shortly to arrange for the bail to be paid. If the caller presents himself as an officer, ask for his name, rank and badge number. Call the local authorities immediately if you receive this type of call. Police and fire departments are sometimes underfunded. As a result, they will solicit funds from the public. Citizens may receive a call asking for donations for a specific event or to support the Fraternal Order of Police. Police will never ask for credit card information over the phone. If you are suspicious of the request, contact the organization directly. It may be difficult to identify a phone scam but it’s not impossible. Scammers use fake names and a spoofed caller ID to hide their real phone numbers. Also, scammers can tap into phone numbers used by police so that they appear legitimate. If a police representative asks for money, ask questions. Callers should give you their full names and the organization’s address. If the caller says they are collecting for a specific chapter or precinct, call to verify before opening your wallet. Scammers usually can’t answer any questions, get defensive and/or hang up. We live in a society of convenience – convenience stores, online shopping, and sending text messages. 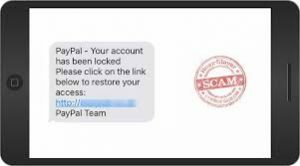 Scammers use conveniences to find and trap new victims. Thieves steal information from people through a technique known as “smishing.” Smishing is a scam like email “phishing” scams – receiving fake emails from your bank, phone carrier or other companies. Smishing is sending the same type of message – one that you are likely to answer – via text message. 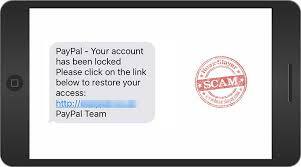 If the person receiving the text answers, it is easy for scammers to steal identity or other information. They can plant viruses or worse from that one simple reply. The Federal Trade Commission (FTC) reports that identity theft scams are on the rise. Their advice to consumers is to ignore and delete the messages without a reply. If you receive a text that seems suspicious, it is also wise to block texts on your iPhone from that number. A transaction has been processed on your Bank of America account. If you did not make this transaction, reply “unauthorized” to this message. New jobs at Amazon.com located in your area! Reply “interested” to receive more information. The scammer relies on the reply to be able to get your information. Hackers are dangerous. They can access your personal information including bank account and credit card numbers. They can also install viruses, or worse, keylogging software. Keylogging software is a type of malware (virus) that can be installed on a phone or computer. It keeps track of every keystroke or entry made into the device. It can track every message sent, every password, and all account information. The software is installed in the system and can be extremely difficult to remove. It is illegal to send unsolicited text messages, unless the texting party has a relationship with the recipient. Companies such as your bank, phone service provider and other businesses you use can send messages unless you opt out of the service. Political campaigns and charities soliciting funds are exempt from the rule. Federal law states that “robocalls,” services using computers to call random numbers or mass auto-dialers are illegal. Users should not reply to the text – even if it gives you an option to be removed from the list. If you feel the text is legitimate, check it out before responding. Call your bank or other company directly. Scammers require an immediate response. Never click on links or phone numbers. Report the message to your phone service carrier. Medicare, like most health insurance plans, has an annual enrollment. When the time draws near to that date, it is not uncommon for people to receive phone calls. The calls, legitimate or otherwise, regard upgrading or purchasing insurance. The bad thing is that insurance can be confusing to the insured. Scammers like to target the elderly who may not understand their benefits. It can be difficult to understand the four parts of Medicare. However, it’s fairly plain unless someone is trying to confuse you. 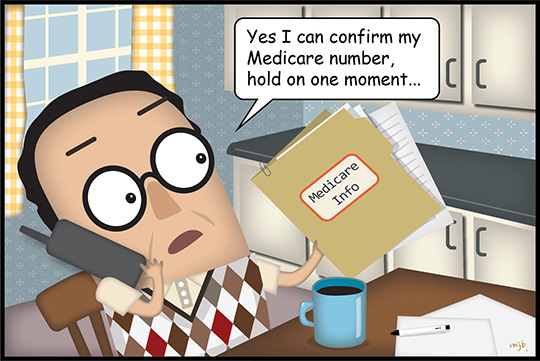 Before talking to anyone about Medicare, be sure to know what parts you have. Educating yourself in that way will make spotting a scam that much easier. Note: Part A does not offer full health care coverage. Part B: Considered a necessary partner to Part A.
Caller states that you will lose your coverage unless you join a specific plan. You must pay to receive a new Medicare card. This isn’t true. Medicare cards, even temporary ones, are free and are sent automatically. Don’t share any information with a caller who threatens to cancel your benefits. Don’t give out bank information in return for a deposit or rebate. If you suspect a scam or receive a call by someone stating to be a Medicare representative, use an iPhone app to search by phone number. If the number is blocked, restricted or unavailable, hang up immediately. Block calls on your iPhone to cut down on annoyance or the urge to answer. If you suspect Medicare fraud, report it immediately to StopMedicareFraud.gov, or call Medicare directly at 1-800-633-4227. 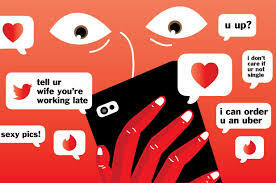 A great deal has been written about online dating scams. 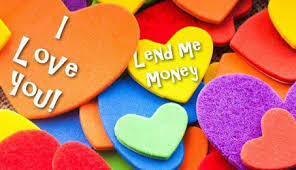 What it boils down to is scammers trying to trade cash for love; convincing lonely hearts that they will live happily ever after – for a price. 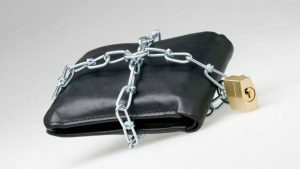 Most schemes aren’t so blatant but as the availability of marks increases, the less time a scammer is willing to spend to get inside your wallet. There is no way to calculate how much money a short con can generate, but it must be good enough to avoid getting a real job. The beginning is almost always the same. Person X receives a flirt or message from Person Y on a dating or social media site. Contact is made, and the dance ensues. 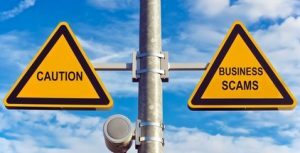 Make no mistake – the scammer may be male or female. From what my male friends tell me, females are much worse and not shy about making up front demands. Within a short period of time, you will know the scammer’s story. The one thing you can be sure of is that the story – and persona – are almost always fake. Catfishing, i.e., posing as someone else, is almost a given in these cases. Almost immediately, the scammer begins to profess admiration and love for you. The more lavish the attention, the more likely the target is to fall for the ruse, eventually opening his/her wallet, bank account or credit card. The ending is never happy. Most of the scammers have a sob story. My spouse died; I’m deployed overseas; I was left at the altar; and so on. They will say anything to tug at your heartstrings. Inevitably, there will be an emergency in which the scammer needs fast cash: hospital bills, eviction, and broken-down vehicles are examples. Some make grand promises to visit, if only they had cash for travel. A good friend works for an airline and will offer to cover the expenses. The scammer never accepts and wants to purchase her own ticket on his dime. My personal favorite is the scammer who is overseas and cannot access his bank account until he gets back to the States. It’s true that there are banks and credit cards that place travel bans on accounts but they aren’t going to leave you stranded in some third world country. An offer of a business deal or employment is a savvy way to get someone to shell out cash. Pay now, play later. The scammer may offer a partnership or a scenario of building a future together. The first thing I do when interacting with someone is to search online. An app for unknown number look ups, reverse image searches, and social media accounts are a good way to start. If the scammer regales you with a sob story or flowery poetry, copy part of it and Google the words. Chances are you’ll find a matching entry. In the end, there’s nothing wrong with online dating. Most of us do it. But no matter what he or she says, keep your wallet firmly closed until you’re convinced it’s the real thing. Categories: Phone Directory, Reverse Telephone, Travel Hacks. Sometimes you just need a vacation for your mental health, but the logistics aren’t always so easy. One hard part can be packing your bag. Wether you’re taking a weekend trip or heading on a 6 month journey it’s important to pack right. Nothing is worse than getting to your destination and realizing you forgot an essential. Here are the top 5 packing hacks for your next vacation. This one might seem obvious, but it’s important to make a list before you start packing. Not only will this allow you to plan what you’re going to wear ahead of time, but it will also prevent you from overpacking. The less you pack, the more room for souvenirs. Rolling your clothes when packing them will give you more room, and prevent them from getting wrinkled while in your suitcase. 3. Bring functional clothes and layer. Choose to bring clothes that you can layer and wear in different ways. Check out this women’s shawl wrap that can be styled as a wrap, poncho, scarf, or shrug. There are also wraps that can be worn as dresses or skirts and pants that convert to shorts. 4. Wear your heaviest pieces on the plane. No one wants to pay overweight bag fees. If you’re going somewhere cold and need boots or a heavy jacket, wear them with you on the plane. Don’t wear your lightweight sneakers and check your hiking boots. 5. Skip the personal items. Shampoos, conditioners, lotions, and other creams and liquids will weigh down your suitcase. Instead of bringing them, buy them at your destination. You can oftentimes find these things at airport drug stores in travel sizes. With these 5 tips you’ll be able to avoid bag fees the next time you fly and you’ll remember all the essentials. We don’t just use our cell phones to make calls nowadays. Instead our phones are now small devices packed with features that helps many individuals maintain their lifestyle. Here are the apps (includes tasks management, apps that blocks calls on your iPhone and more!) that we think will save you time in finishing your daily tasks. That satisfying feeling of crossing out a task is now available in a simple but powerful app. Clear is a task organizer app that lets you segment your to do’s into whatever order you prefer. Work, family, personal, friends – name it. It is customizable and all you have to do is swipe right once you’re done with a task. For the most obvious reasons, Google Drive is one of the best cloud storage options for your files and a great tool for collaborations as well. This app will let you finish work even without a PC! Connect is perfect for those who regularly meet other people. All you need is the email address of a person, and the app will look for its public profile and details with photos. When the time comes that you need to reconnect with this person, you don’t have to go through tons of business cards and worry if it’s the right person or not. Who’s ever received an unwanted call from an unknown number? Everyone. Aside from these calls being annoying, it also wastes your time! Callersmart will help you block calls on your iPhone so you don’t have to worry about getting scammed or receiving pesky spam calls. Let me guess, you have Facebook Messenger, Skype, Whatsapp, Viber, and all the other instant messaging apps there is. The stream of notifications must be difficult to keep track of at times. Snowball curates all your messaging and emails in one inbox, makes it easier for you to read and reply. Instead of clicking on several apps, Snowball saves your time and energy because everything is in there. Go check out these apps today! Ever wonder what an iPhone caller ID app is or what is the best phone tracer app for iPhone? Well, you’ve come to the right place! This type of app is crucial if you are a parent and you would like to monitor who’s calling your child. It also comes in handy if you receive a lot of spam calls. It will help you reduce the amount of nuisance calls you get by helping you identify which calls you should be taking and which ones you should ignore. A good phone tracer app for iPhone should be able to identify the majority of phone numbers that you search in it. These numbers are usually going to be a mix of landline numbers and cell phone numbers. The apps will typically use feedback from their users, plus exclusive databases to identify a phone number. The type of information that you will receive when looking up a number should include the owner’s name and a location. This might be an exact address or a location based off of the phone number’s area code and exchange. Some apps will give you information like a picture and the social profiles associated with a phone number. The app should be easy to use. There is no need to be a tech genius to use a reverse phone lookup app. When you get a call from an unknown number copy and paste it and open up the app. The app should automatically start a search on the phone number. After the search, the app will show you if there are any free results. Most apps will let you leave your feedback on a phone number. This helps others in your community to identify and avoid unknown calls. You will find a lot of feedback on phone numbers in a good phone tracer app. Most of these apps are free, but will offer in-app purchases. It’s up to you to decide whether or not you want to pay for information on a phone number. Want to figure out the owner of a phone number? If yes, then keep reading. Ever heard of an iPhone cell phone directory app? What Is Phone Number Tracing? Phone number tracing is very popular today. Many times a person will trace the phone number that’s calling their boyfriend or girlfriend to see who it belongs to. The person might think that they are being cheated on and want to see if their suspicions are correct. While this isn’t really a good thing it is one of the main reasons a person will reverse phone lookup cell phone numbers. If you are looking to identify an unknown number you’ll see that their are a lot of different services online that claim to be the best. Most of the time this service is free. However, for more detailed information you will need to pay. When running a reverse phone lookup, you will have access to information about that phone number. Info can include the phone number’s owner, their address, and sometimes there will even be links to the phone owner’s Facebook or Twitter. Who Uses Reverse Phone Lookups? It’s not just people who suspect they’re being cheated on that will trace phone numbers. Many people will also use this tool to identify calls from mystery phone numbers and annoying spam callers. You can use the information retrieved in a reverse phone lookup to reconnect with old friends, identify phone spammers, and avoid unwanted calls. Running a reverse phone lookup is very easy! First, download an app for identifying phone numbers. Then, just copy and paste the number you want to find more information on into your phone tracing app. The app will tell you who the phone number belongs to and if you should block the caller. What is a cell phone number lookup? Cell phones are the main way we stay connected to our friends and family. Though phones are great for allowing us to stay in touch with loved ones, they can also be annoying sometimes. If you’ve ever gotten a call from an unknown phone number you know what a nuisance this can be. There is an easy way to lookup a cell phone number that you don’t know. Who’s Calling Me? is one of the earliest revers phone lookup apps available for iPhones. When you register for Who’s Calling Me? you get several free credits to test it out. Afterwards there is a small fee that is associated with each lookup. Truecaller is another app that allows you to lookup a cell phone number. The app features an international phone book and has one of the biggest databases that is crowdsourced from its users. They have different features like in-app calling and a pro version that allows you to remove the ads. The pro version has a small monthly fee associated with it. CallerSmart is another iPhone phone number trace app that will let you see the information of the phone number that’s calling you. Like Truecaller, their phone book is also crowdsourced to some degree. CallerSmart offers risk-free Premium Lookups which will go beyond their free results and provide information like social profiles associated with the number you want to identify. Looking up an unknown phone number is much easier when you use a good app. You can see who’s been calling you and these apps will give you better results than just Googling a phone number will. You might need to run a reverse phone lookup for any number of reasons whether you’re getting annoying telemarketer calls or you’re trying out online dating. These apps will save you the headache of dealing with unknown calls.